Let's cut that wedding cake. 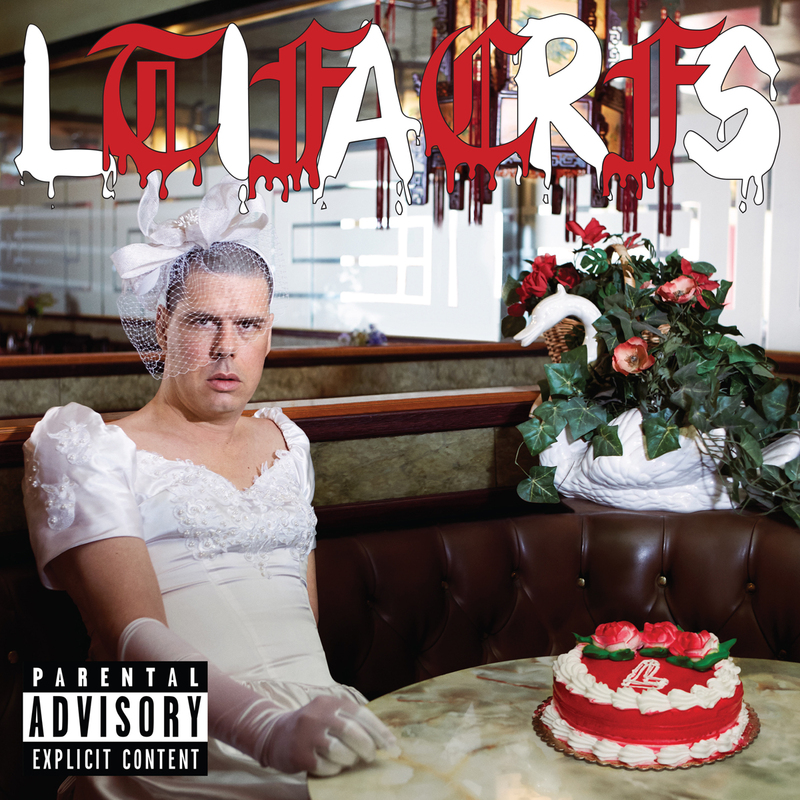 Liars' new album 'TFCF' is out today, and you can stream it in full via the embed below. As Angus Andrew previously said about the album: "My favourite feeling is going into the complete unknown. What’s the point in making something you know you can? My goal was to make creative decisions that keep me awake at night." Also read an interview with Noisey here, where Angus explains how his break-up, sampling and vaporwave influenced the album + watch the video for the single 'Cred Woes' below. Liars perform at Le Guess Who? 2017 on Thursday, 9 November, together with a.o. The Soft Moon, Grouper, Sun Kil Moon, Oiseaux-Tempête, and Keiji Haino and Thurston Moore both collaborating with Han Bennink.